In their most recent survey, Jubilee Hall Trust’s members have given them an outstanding vote of confidence with the greatest ever numbers saying that they would recommend the charity’s gyms to a friend or colleague! The survey, which is carried out every six months across the groups four clubs, asks a range of key questions about the customer experience. 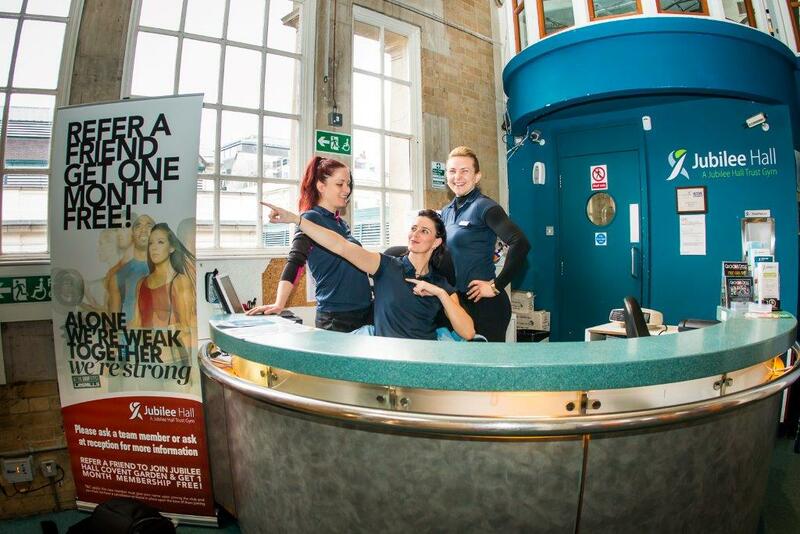 Reception and gym staff at all the clubs received great scores, with up to 98% of members saying that they were ‘good’ or ‘excellent’. In addition, the Trust benchmarks all the clubs using the Net Promoter Score (NPS), which is based on how likely members would be to recommend the facility. NPS is recognised internationally and used by a large number of consumer brands. We were delighted that our NPS has increased over the last 3 years from 27% to its highest ever of 41%, putting us way ahead of large companies like ASDA (21%) and Natwest Bank (5%) and almost up with Waitrose (46%). The change is, in part, due to investment in equipment at two sites, but also improvements in service. This has been achieved by creating a comprehensive staff training and development plan running alongside a rigorous and independent Mystery Shopping service from Pro Leisure and 6-monthly Health & Safety audits from QLM.